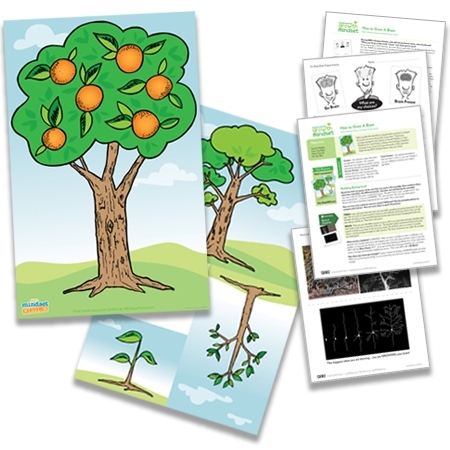 Introduce your students to ‘Growth Mindset’ with a large, colorful fold-out poster and lesson plan that compares the growth a tree to the growth of your brain. If NED’s Mindset Mission has already visited your school, this lesson will recap an important lesson taught during the assembly. After you have purchased the 'How to Grow a Brain' Poster and Lesson Bundle the poster will be mailed to your provided shipping address and the download link to the lesson plan will be emailed to you via the 'your order has shipped' email. You can also access the lesson plan download by visiting ShopNED and clicking on My Account.